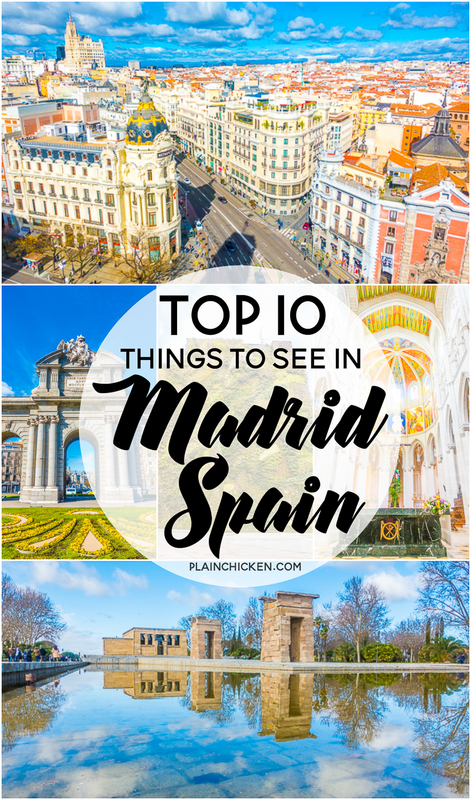 Top 10 Things to See in Madrid Spain - fantastic list of places to go when you are in Madrid! 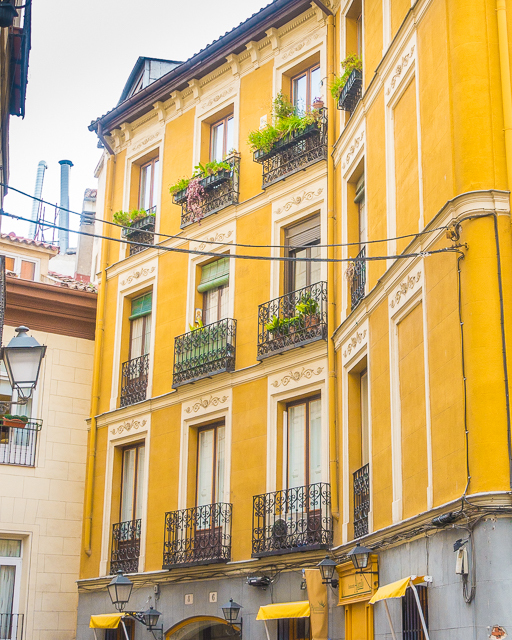 Today I am going to share all about our time in Madrid! 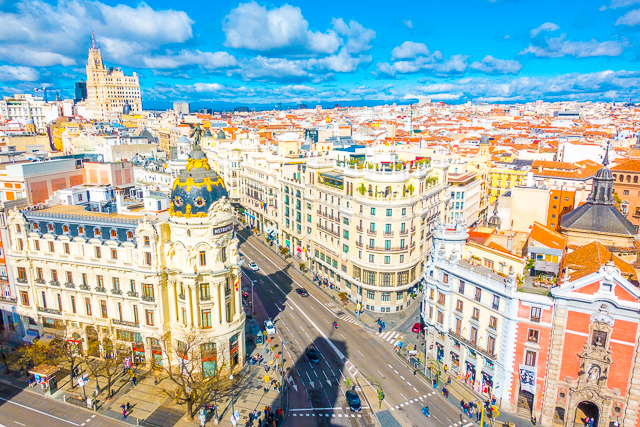 Madrid was beautiful! Not as colorful as Barcelona, but beautiful nonetheless. 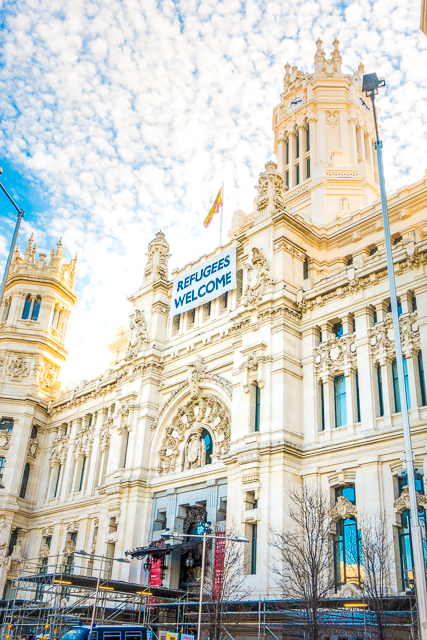 We spent two and half days in Madrid. That was plenty of time to see the sites. 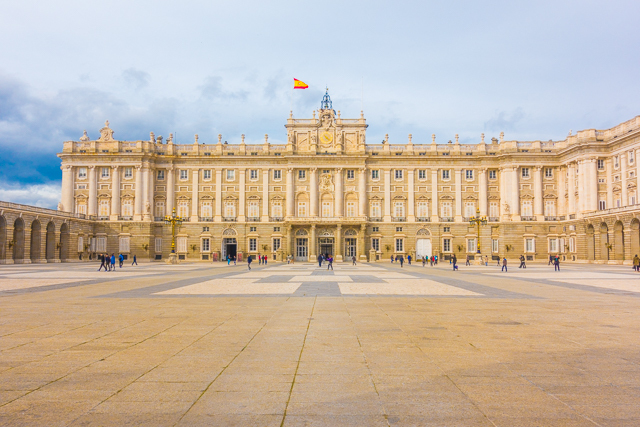 The Royal Palace of Madrid is the official residence of the Spanish Royal Family at the city of Madrid, but it is only used for state ceremonies. 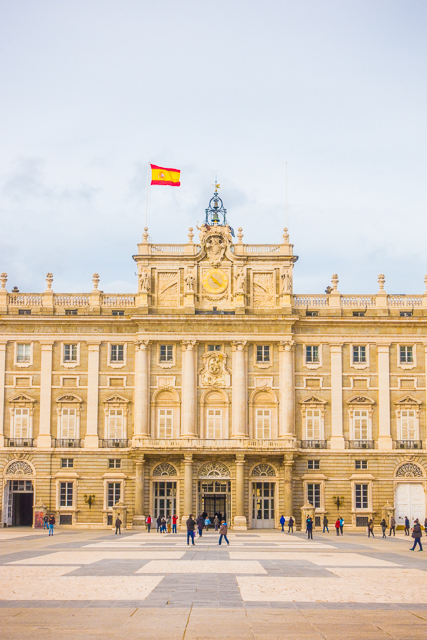 King Felipe VI and the Royal Family do not reside in the palace, choosing instead the more modest Palacio de la Zarzuela on the outskirts of Madrid. You can tour the palace, but you cannot take photos inside. 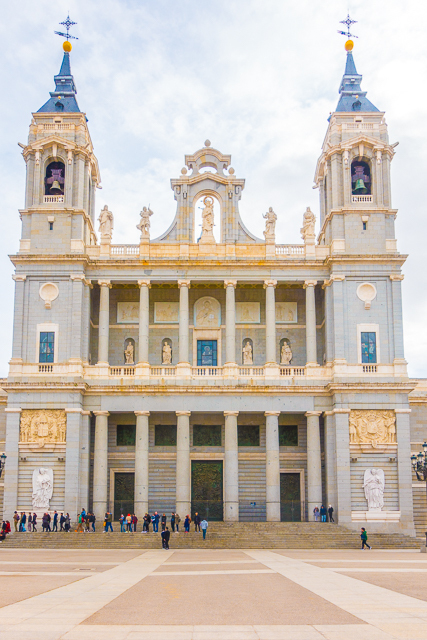 Almudena Cathedral is directly across from the Royal Palace. 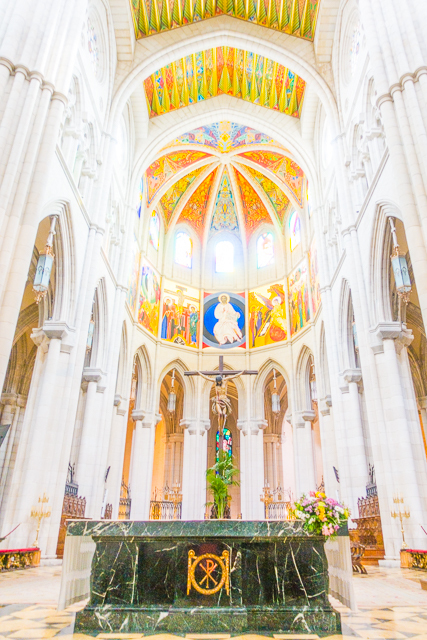 The cathedral was consecrated by Pope John Paul II in 1993. 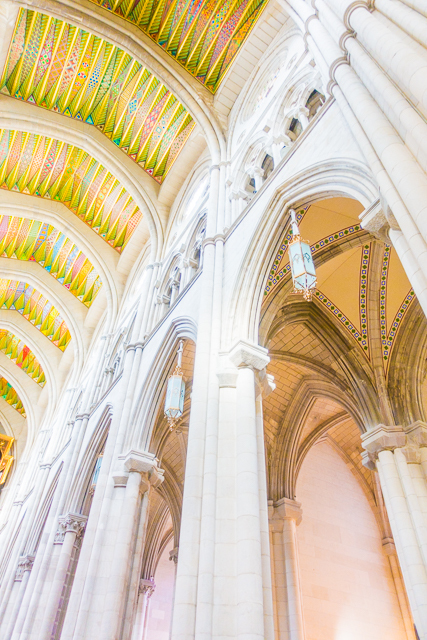 It is one of the smaller cathedrals we visited on our trip, but it was one of the most colorful. 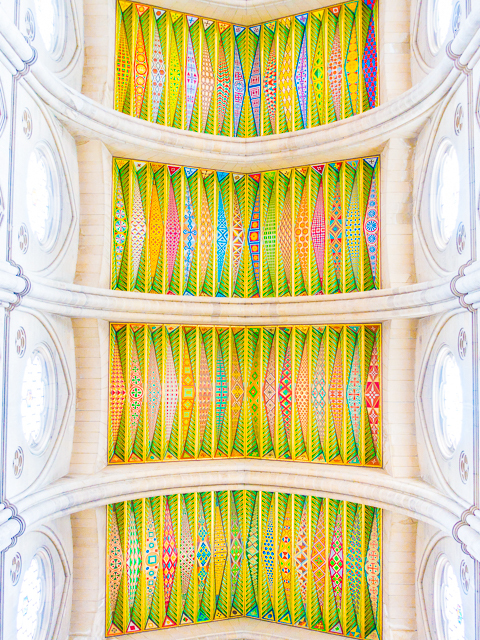 I absolutely LOVED the beautiful ceiling! 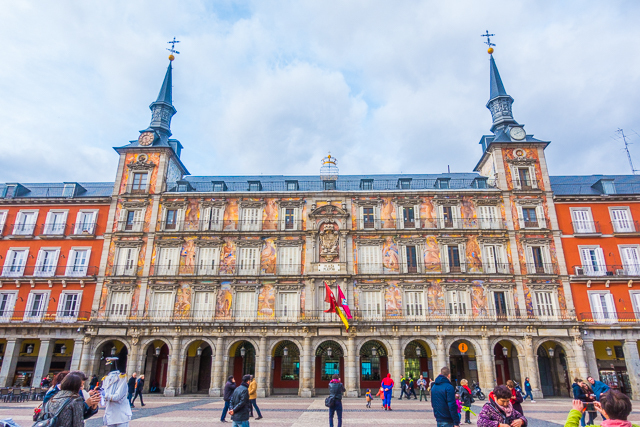 Plaza Mayor is Madrid's main square. There are many restaurants in the square. It is a great place to people watch! 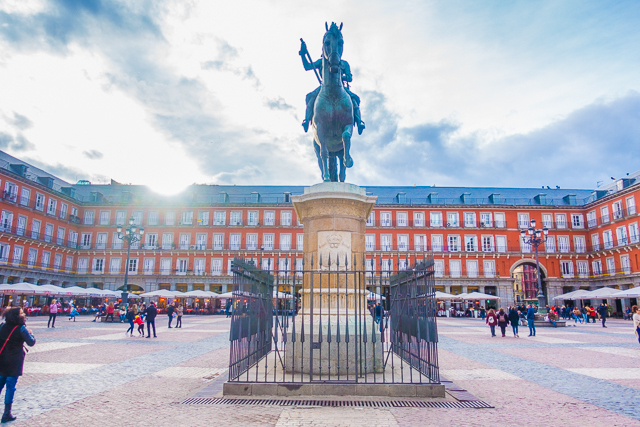 There is a bronze statue of King Philip III at the center of the square. 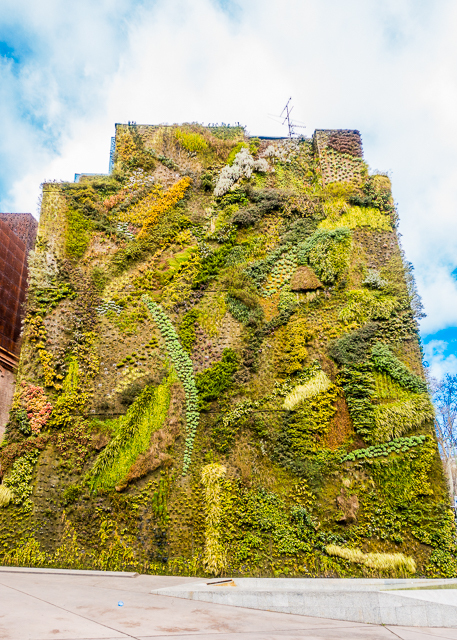 It was created in 1616 by Jean Boulogne and Pietro Tacca. 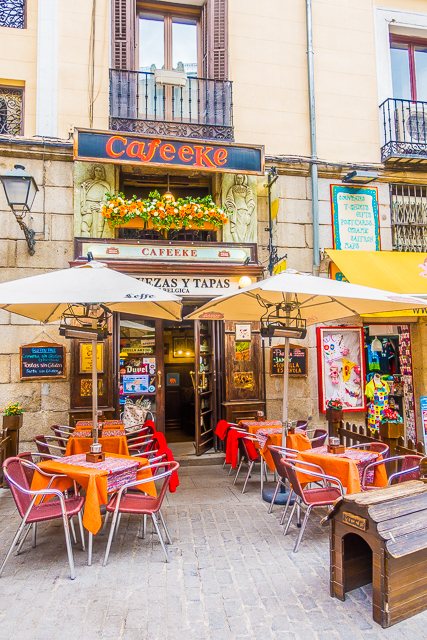 How cute is this cafe right outside of the Plaza Mayor? 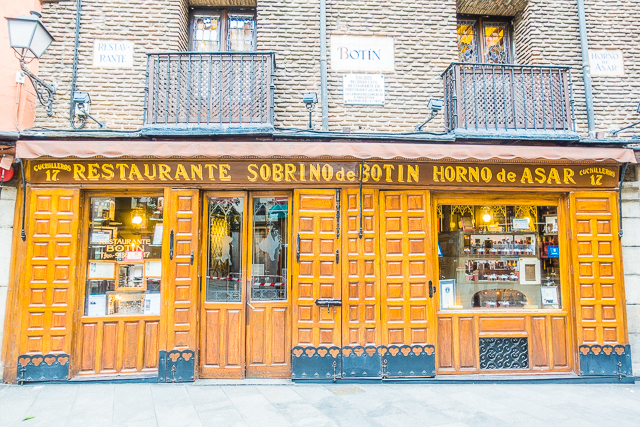 Sobrino de Botín was founded in 1725, and is one of the oldest restaurants continuously operating in the world. 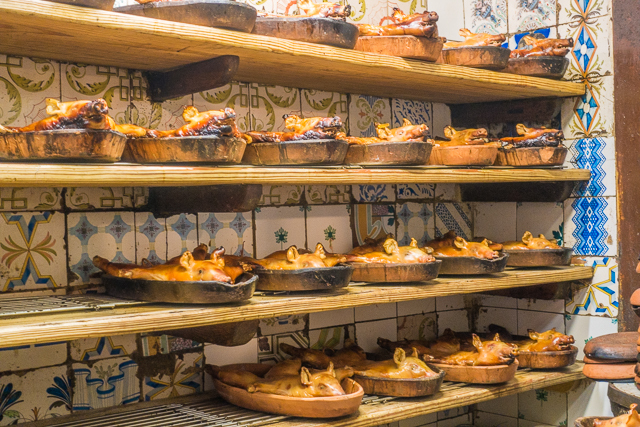 The restaurant and its speciality of roast suckling pig are mentioned in the closing pages of Ernest Hemingway's novel The Sun Also Rises. 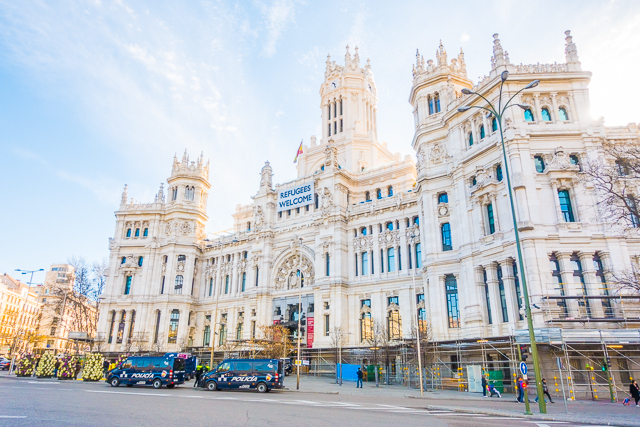 The Cybele Palace is a palace located on the Plaza de Cibeles in Madrid, Spain. 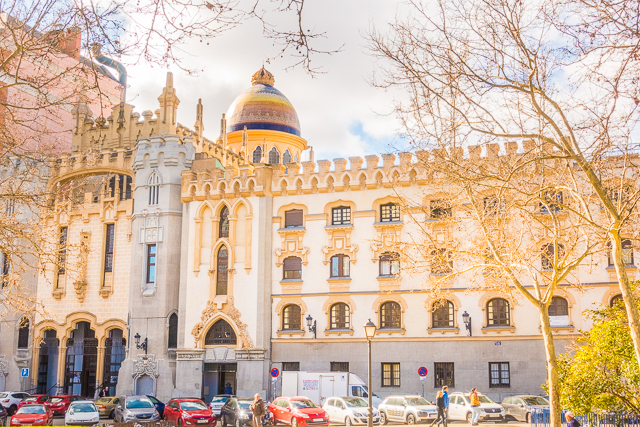 It is currently the seat of the City Council. 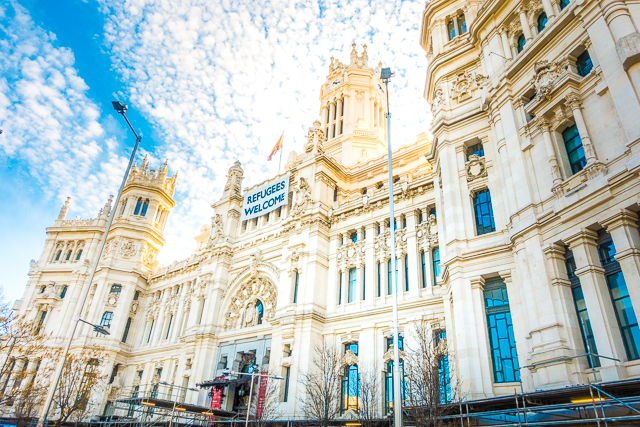 It opened in 1919 as the headquarters of Correos, the Spanish postal and telecommunications service. 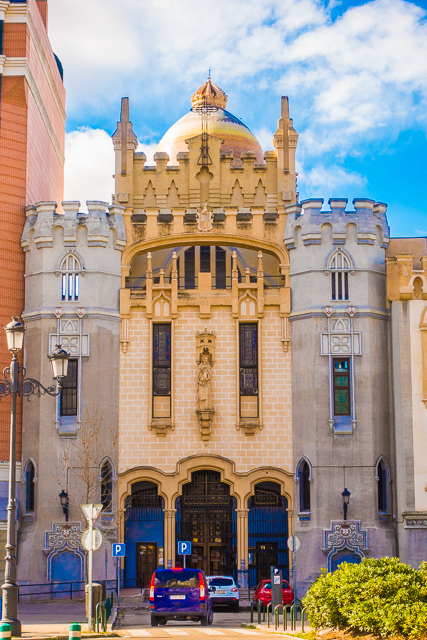 It was designed by Antonio Palacios and Joaquín Otamendi. The day we visited, they were getting ready for an Amnesty International event. 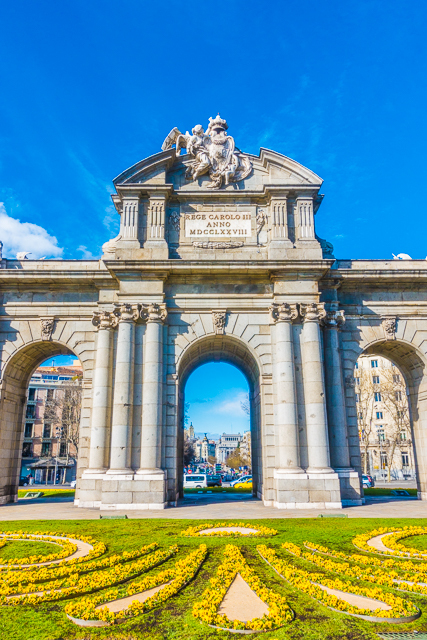 Puerta de Alcalá was a gate of the former Walls of Philip IV. 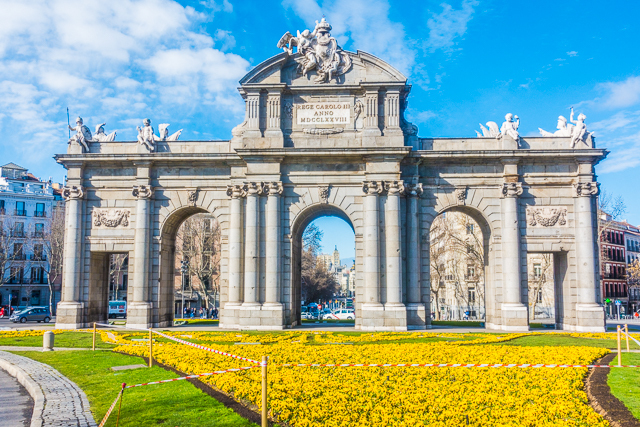 It stands near the city center and several yards away from the main entrance to the Parque del Buen Retiro. The gate was built in 1778. 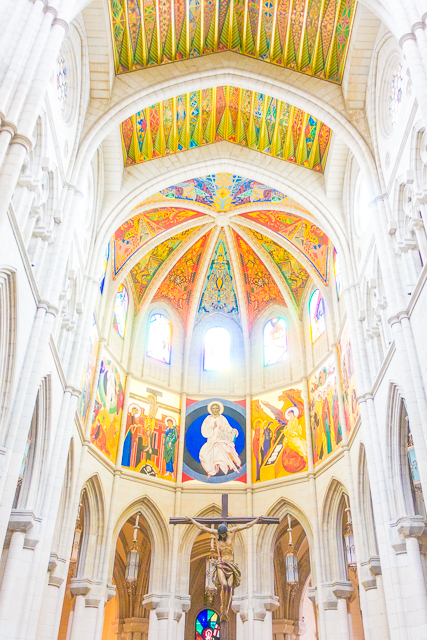 Parish Church of Santa Teresa y San José is a Catholic church located in Madrid, Spain. The complex serves as a religious community residence, a nursing home and a parish church. 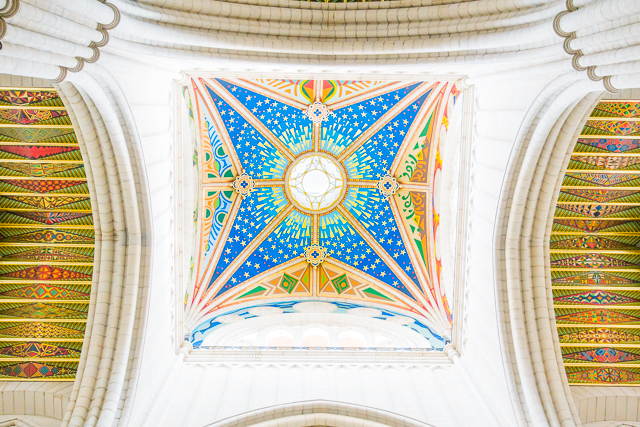 We were in LOVE with the beautiful dome made with glazed tiles. You can see the dome from all over the city. We first spotted it at the Royal Palace. 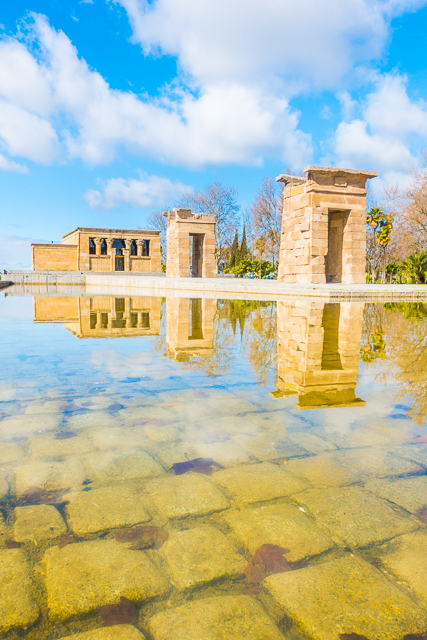 We finally found it on our way to the Temple of Debod. The shrine was originally erected 9.3 mi south of Aswan in Upper Egypt, very close to the first cataract of the Nile and to the great religious center dedicated to the goddess Isis, in Philae. 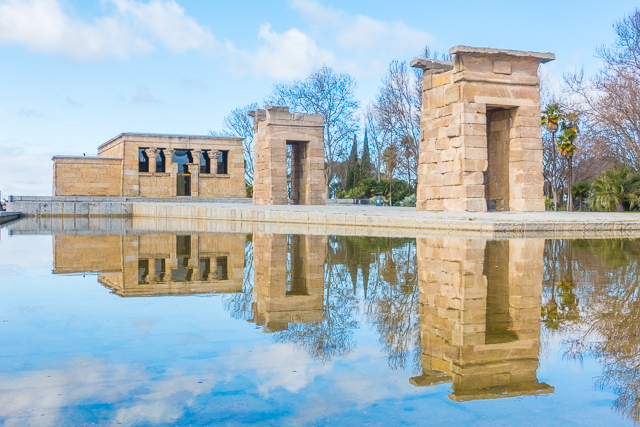 As a sign of gratitude for the help provided by Spain in saving the Abu Simbel temples, the Egyptian state donated the Temple of Debod to Spain in 1968. 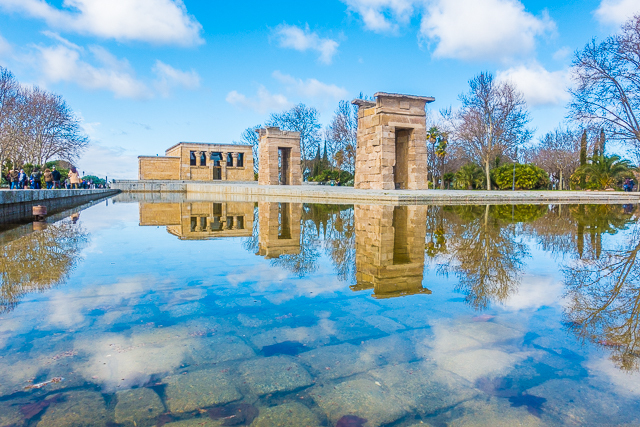 The temple was rebuilt in the Parque del Oeste, near the Royal Palace of Madrid, and opened to the public in 1972. 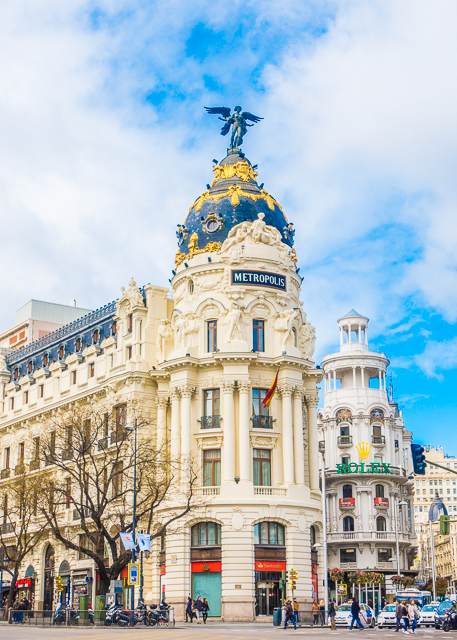 Shopping down the Gran Vía is a must when you are in Madrid. There are tons of great places to shop, eat and party the night away. The Gran Vía reminded me a lot of the Champs-Élysées in Paris. 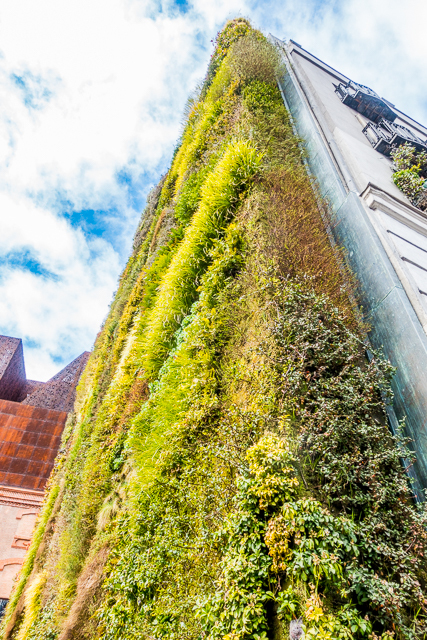 We made a stop at Patrick Blanc’s Vertical Garden on our way to lunch one day. 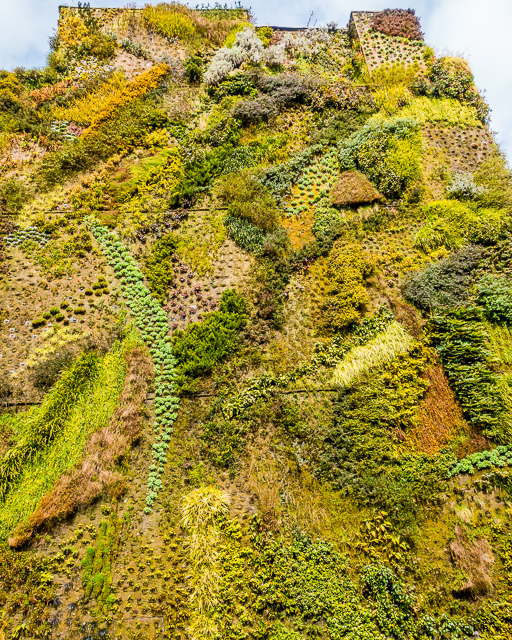 It is 78-feet high and is made up of more than 15,000 plants, from 250 different species. The wall was completed in 2008. We also went to the Museo del Prado and saw "The Real Mona Lisa". "The Real Mona Lisa" is a painting of the same subject as Leonardo da Vinci's famous Mona Lisa. 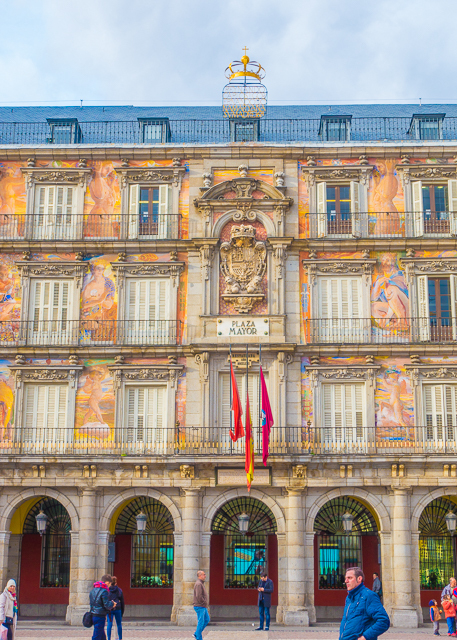 The copy painting has been displayed in the Museo del Prado since 1819, but was considered for decades a worthless copy. However, after its restoration in 2012, the Prado's Mona Lisa was claimed to be the earliest replica of Leonardo's masterpiece. I would show you a picture, but they didn't allow any photos in the museum. BOO!! We walked over to the Palacio de Cristal. We had seen pictures on the internet with amazing colors from the glass and were dying to go. Well, those photos on the internets had to be photoshopped. It was pretty boring - photo wise. 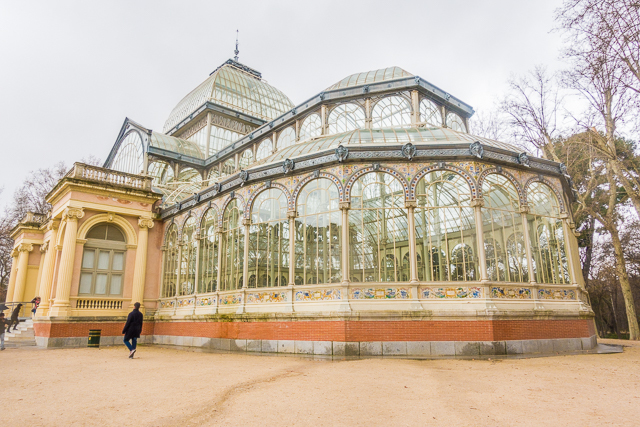 Today the Palacio de Cristal is used for art exhibits. 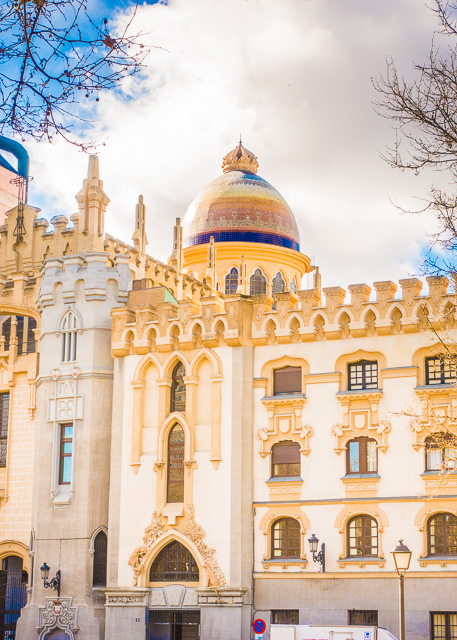 Stay tuned for my final Spain post next week. 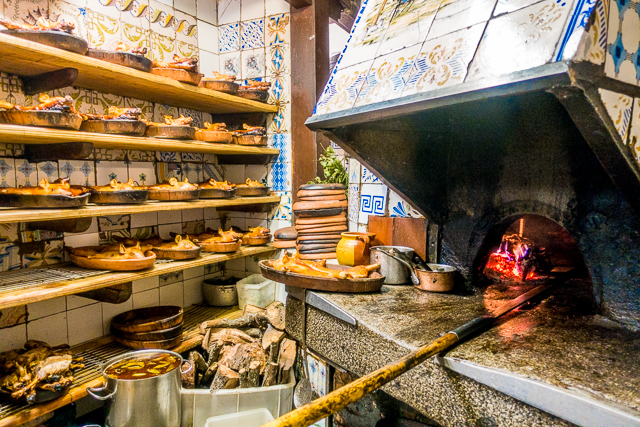 I'm going to show you all of the amazing food we ate in Madrid! !